Hosting a backyard BBQ is a lot of work. Not only do you have to get all the essentials ready before the big day, but you need to make sure that people know about the event as well. With the many advertising methods there is, flyers continue to be one of the most cost-effective ways to get your message across. However, crafting a flyer is also pretty tricky. 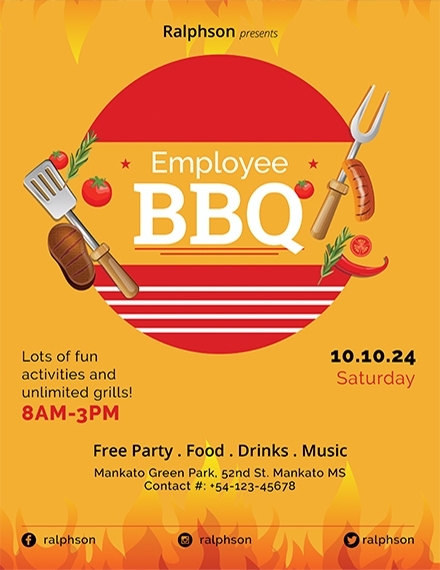 If not done correctly, the time and energy spent organizing the event and disseminating these backyard BBQ flyers will be put to waste. 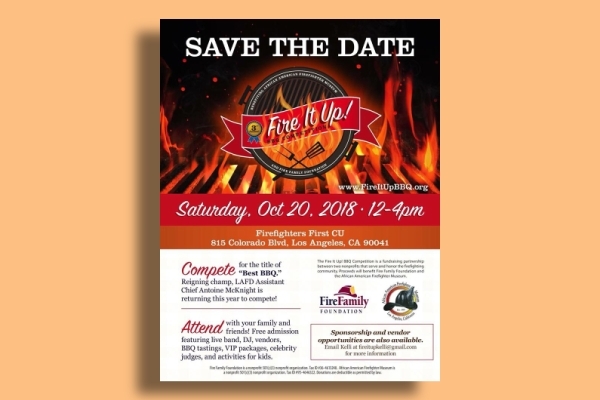 The difference between a professionally designed flyer and a poorly crafted business flyer is not in the editing software itself, rather, it’s in the four stand-out features that all flyer designs need. 1. Color: If you want to make a good impression, consider investing in full-color prints. Distributing photocopies of the flyer might seem like a money-saving option, but you can’t rely on it to provide you with a higher financial benefit in the long run. Using colors to elicit a particular emotion and to reinforce your brand identity is sure to generate a positive response. 2. Quality Finish: The look and feel of your flyer is just as important as the content. Apart from transforming your flyer into a more durable and less prone to tear and crumple type of material, a higher quality paper also adds value and importance to the flyer. This will attract the eyes and make the flyer worth keeping as well. 3. White Space: Less is more in the world of advertising. Adding too much text to your flyer is bound to distract viewers from the core message being conveyed. This also leaves a cluttered layout which can negatively affect the readability of your content. To avoid this from happening, the proper application of white or negative space is key. 4. 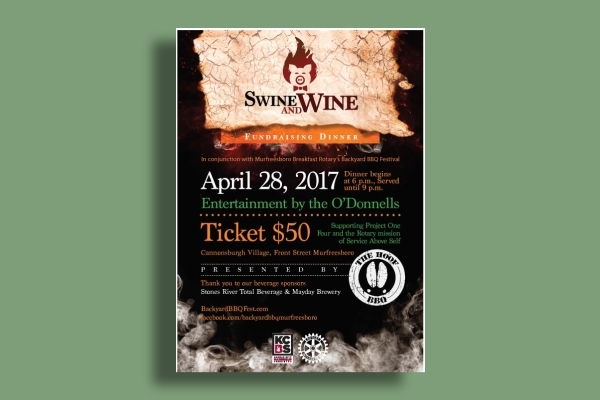 Size: An average flyer comes in a standard 8.5”×11” paper size. But even then, it wouldn’t hurt to break the norm by using a size smaller or larger than that. This depends on the amount of information you want to deliver along with how the event flyer will be distributed or displayed. 5. 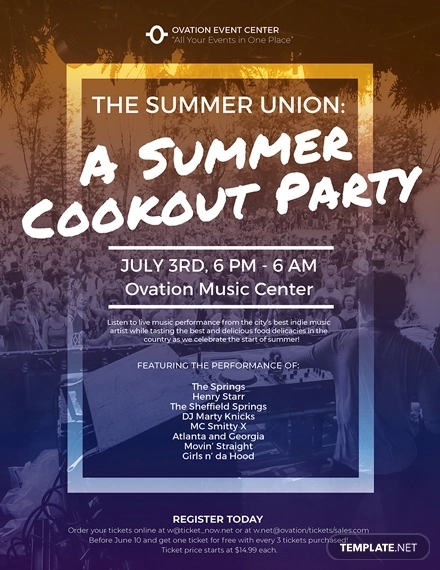 Call to Action: Backyard BBQs are a popular outdoor event for a family get-together, company gathering, and college party. 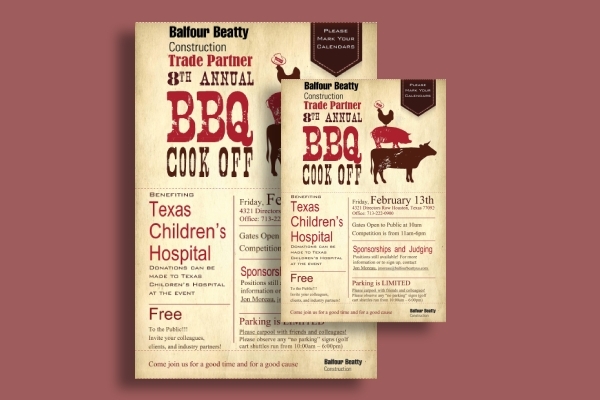 To ensure a good turnout for your event, your party flyers need to have a call to action. This will prompt a desired reaction from your audience to ensure the success of your marketing efforts. Think about what you want to convey with your flyer. Are you a restaurant with BBQ meals as your main specialty? 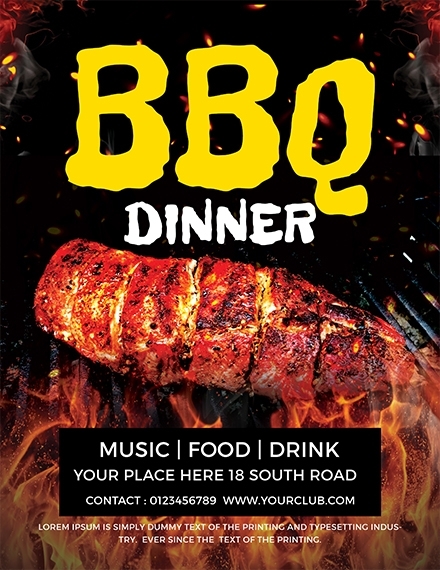 Do you want to showcase your BBQ menu to attract customers? 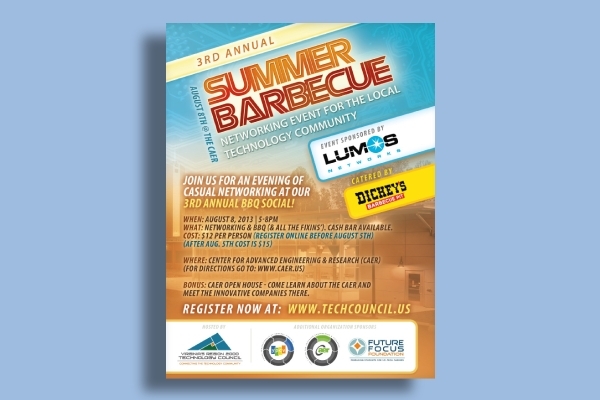 Or perhaps your nonprofit is hosting a BBQ cookout to raise funds for a cause? This will help you determine the design and format of the advertising flyer before moving forward to the next step. Like a poster design, some flyers are one-sided with the back cover left blank. This works for promoting an offer or event with less text elements required. But if your aim is to deliver a good chunk of information to readers, a two-sided (or even a three-sided) flyer format would be more suitable. The number of sides would depend on the amount of things you want to say to your audience. Once you have decided on a format, add in the necessary information to your flyer. Prioritize and organize should be your motto for this. You can do so by highlighting titles, styling words in bold or italic, and changing the size of your fonts. Play around with typography to see what you can do to make your flyer readable and attractive. 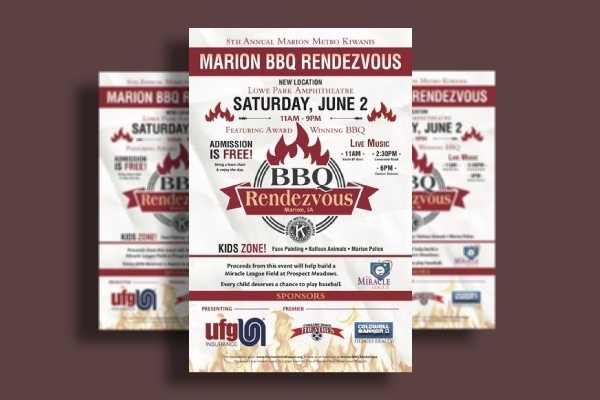 Graphic resources such as illustrations and photographs add to the visual imagery of your flyer. Make sure to choose photos that are eye-catching enough to garner attention and are relative to your core message. Do this carefully, as the wrong photo could potentially ruin your branding efforts. This should tell readers how you want them to respond as soon as they finish reading your flyer. 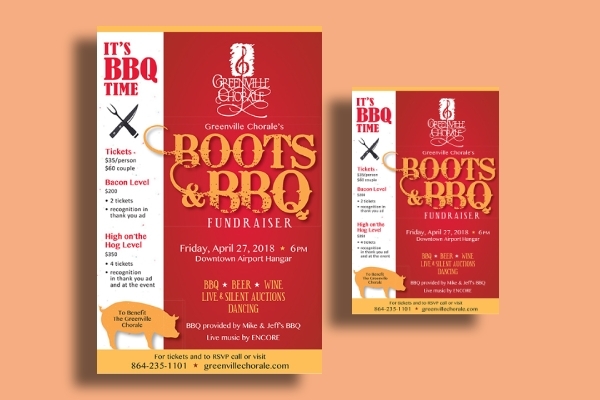 Given how BBQ flyers carry a promotional purpose, you need to give the receiver a reason to keep it. Including your contact information, such as your website URL, phone number, email address, and social media profiles is sure to come in handy one day. The last thing you’d want to discover is a little mistake in your copy or design after you have just finished printing an entire batch of flyers. This can ruin all your hard work, and starting over can be very costly. Be sure to proofread the document and to review every element to see if they meet the specified requirements. Put yourself in a viewer’s shoes: As a copywriter or designer, you can be pretty biased about your own work. So if you really want to connect with prospects the right way, identify the questions that need to be answered. 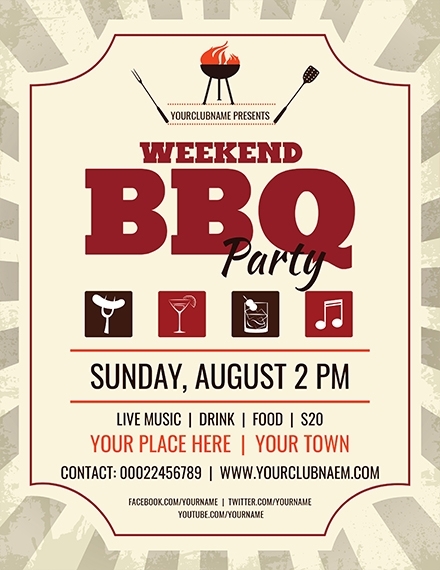 Readers might want to know when and where your BBQ party will be held, what they could to score an exclusive invite, or whether there is a fee or charge that must be settled upon entry. Avoid overstuffing words: A wordy flyer can be intimidating to even look at. It’s good practice to break down your message into smaller parts with the help of bullet lists and proper sentence structures. Text should be properly spaced with line brakes as well to make it easy to read from a distance. Also, be sure to use simple statements that the average person can understand. Stand out from the crowd: Flyers are a potent form of marketing that many advertisers like to use. But because of its popularity, people tend to tune them out like they’re nothing. Standing out from the competition is important for your business or cause to strive. 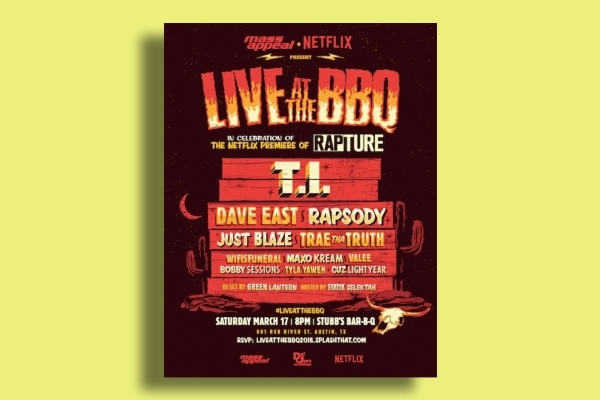 Aim for a flyer that’s distinct and recognizable no matter what the circumstance. Establish a sense of urgency: Ever waited anxiously in line for concert tickets to see your favorite band? Urgency is a valuable tool in marketing that must always be applied. 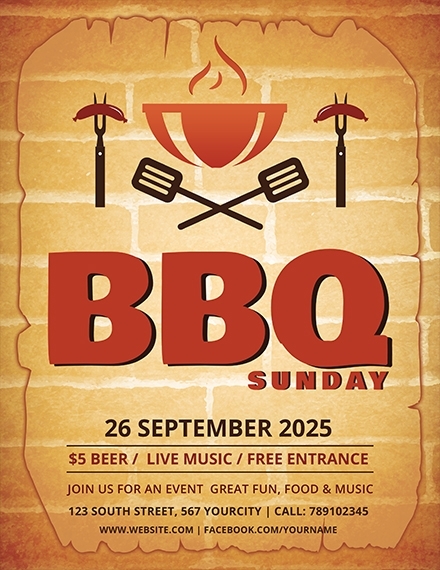 A little pressure to push people to reserve a slot to your backyard BBQ event is sure to rake in significant numbers as soon as possible. The power of “you”: You is a powerful word to use when writing an effective flyer. It makes people feel as if you’re speaking directly toward them. After all, what matters most in advertising is your ability to let your audience know how your product or service will benefit them in some way. Half Sheet: This is usually chosen for its minimal cost of production. 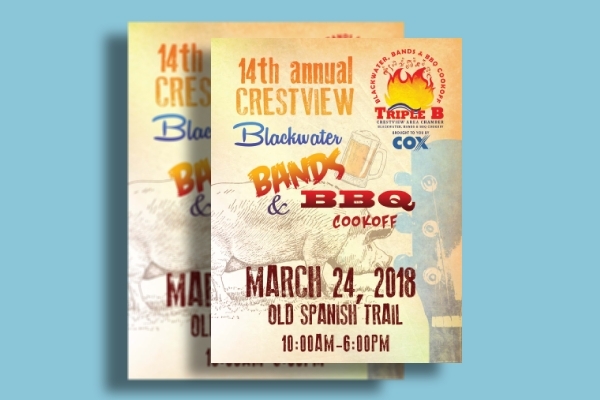 Half sheet flyers are more ideal for ideal for small businesses that are on a tight budget but still want to reach out to prospects in a conventional way. Standard: Recognized as the standard size of a flyer, the 8.5-by-11-inch size is a go-to option for many businesses. They’re suitable for hanging up on bulletin boards or handing out to passersby at a public venue. It also contains enough space for you to include attention-grabbing graphics and headlines. Large Format: Otherwise known as poster-sized flyers, these large-format flyers are good for documents that have to be folded into several parts just to deliver a huge amount of information at a time. Some examples of these flyers include restaurant menus, magazine inserts, and oversize leaflets. 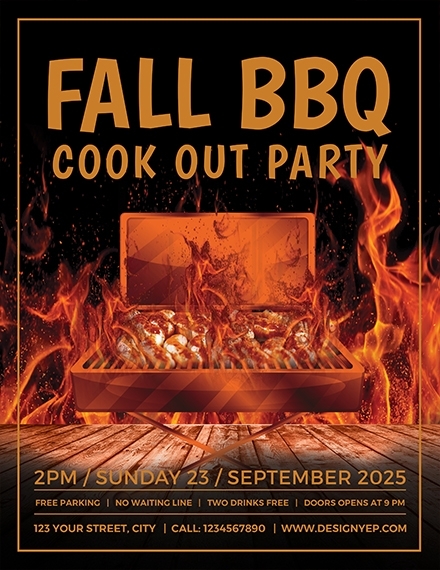 How can I make a backyard BBQ flyer? 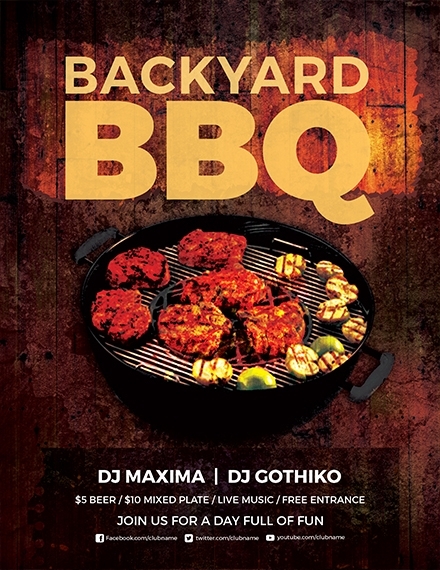 Making a backyard BBQ flyer is a lot easier than you think. You can either craft the flyer from scratch through the steps listed above, or you can download one of the ready-made templates provided in this article. With a template, you can easily customize both text and graphic elements to suit your purpose and preference. Considering how these flyer templates are already designed to meet the standard printing requirements, you can have the flyers printed immediately after you have finished designing and reviewing your content. 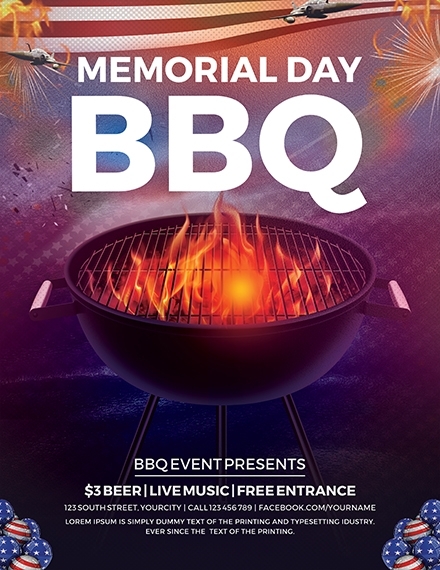 What kind of paper is used for a backyard BBQ flyer? Opaque papers are often used for marketing tools like business flyers and company brochures. You can choose between a coated or uncoated offset paper, which is an ideal paper material to write on. But if you’re more concerned about the flyer’s lifespan, a more durable option would be a thicker paper type with a high gloss finish. 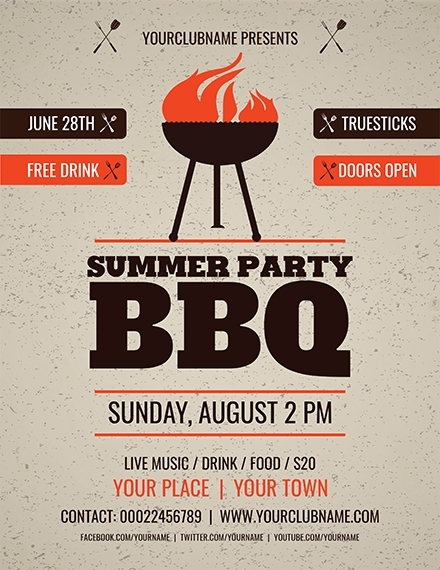 Why are backyard BBQ flyers important? Imagine spending most of your days planning and organizing a backyard BBQ event only to have a handful of people come. 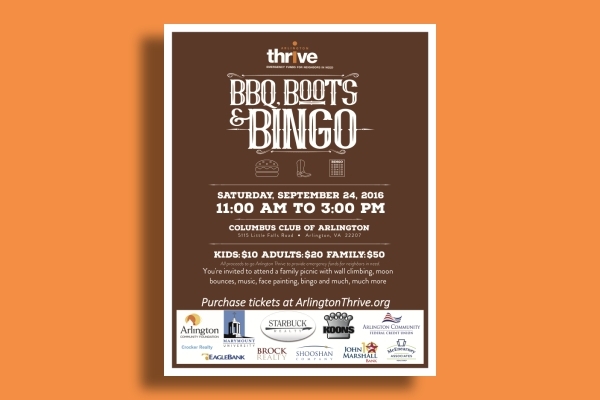 Your marketing strategy will greatly influence the turnout of the event, so be sure to create a flyer that can help you accomplish this goal. 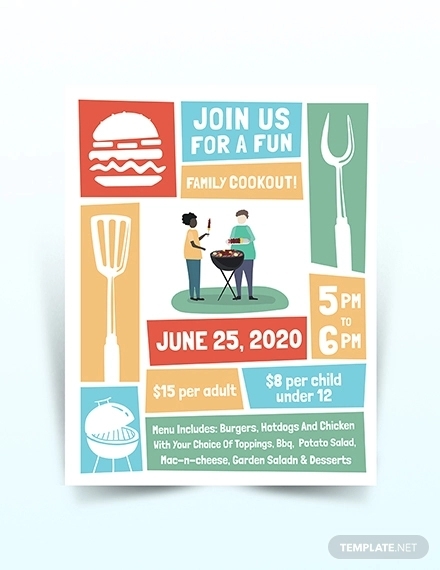 Aside from the flyer being a good communication device, it can also widen your market reach and connect with an audience in a more personal and direct manner. Never neglect the overall look and feel of your flyer, regardless of what it’s meant for. 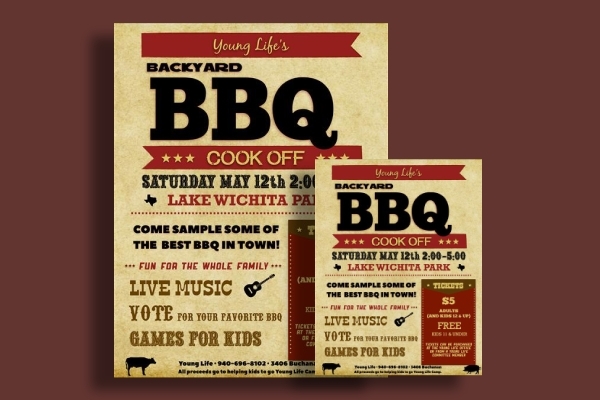 So with the help of these design ideas and templates, you’re sure to craft the perfect backyard BBQ flyer in no time!